Where did the month go (or should I say year)? It's hard to believe in just 61 more days 2016 will be here.October is always my favorite month. Even though I was busy I managed to get a good amount of reading in as well (good, enjoyable reads as well). Gotta love this challenge (year 7 for me). I committed to reading (4) books and actually read (5) . Living on $2 a day sounds pretty impressive, we couldn't do it! Looks like you had a great month. I have 'After You' on my 'ToRead' list. Have a great November Diane. Thanks Pat. Hope we both enjoy, After You. Nice list of reads. I also had a DNF - but I did flip to the end to see what the final outcome was. There are only 61 days left in the year? Yikes! I am curious about the book about living on $2 a day. Sounds like quite the challenge, but for some, it's a necessity. Enjoy November...I hope to read After You soon, too. I can't imagine. I guess it's pasta and eggs, but even eggs are expensive now. I agree about being curious about that $2 a daybook! I read one review and it made me curious. I know someone who works with low income seniors and for one person this individual was getting $15.00/month - how can that be? I'm in shock that this year is ending. I so want to slow down time somewhat. My mom always said the older we get the faster time goes and that seems so true. I'm wanting to read the $2 a day book too. Thinking about maybe on audio? And you did well for the RIP event. So are you going to try City On Fire again or are you done with that? It looks like you really stuck with a theme this October. Still an impressive list for someone who is working, writing a blog and interacting with a family. Shame the new Blume didn't do it for you. I quite enjoyed it. I love when I find a very different book, I love -- like --The Beautiful Bureaucrat. Glad u enjoyed it as well. 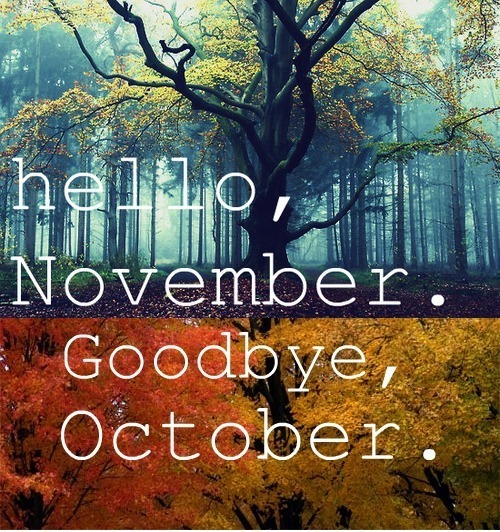 October is my favorite month, too, but with Jojo Moyes and John Irving, November should be pretty good, too! Glad to see you want to read the new Moyes and Irving books as well. Diane, you've been "reading up a storm" this year! I've been reading ever-so-slowly. Good luck with your Nov. reading plans--each book seems interesting! Great job, Diane. Loved Salem's Lot myself. Happy November! Thanks Freda, October is the perfect month for King IMO. I have After You and the Delinsky on my TBR - Here's wishing you a very happy November! Cleo, we can compare notes on those 2. I really hope to get to both this month. I'm not ready to think about next year yet . . . 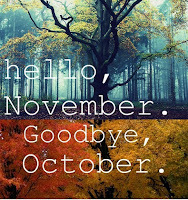 I am looking forward to November though--and I hope it turns out to be a good month. It's usually not for us though--so we'll see. 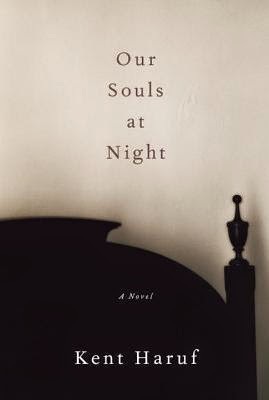 :-S Our Souls At Night looks really good! Thanks Wendy. I hope you'll like Our Souls at Night, if you get to try it. 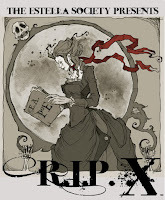 Congrats on your R.I.P. success! It is hard to believe 2016 is almost here. I am a bit behind on my reading goal for the year. I hope Nov and Dec help me catch up! 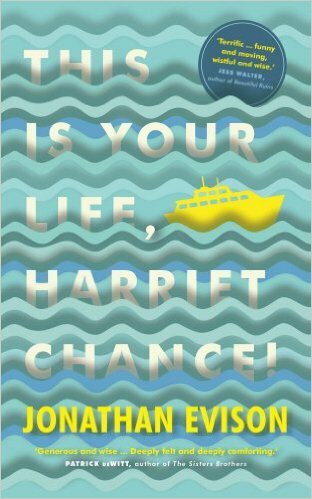 I am so remiss in thanking you for the Harriet Chance book! Thank you!!! I meant to have it up on Monday and then life happened. It's on the floor in my office and the kittens have loved playing with it, lol! I've been wondering about the Judy Blume. Hmm, since you didn't finish it, I think I'm going to pass on it.